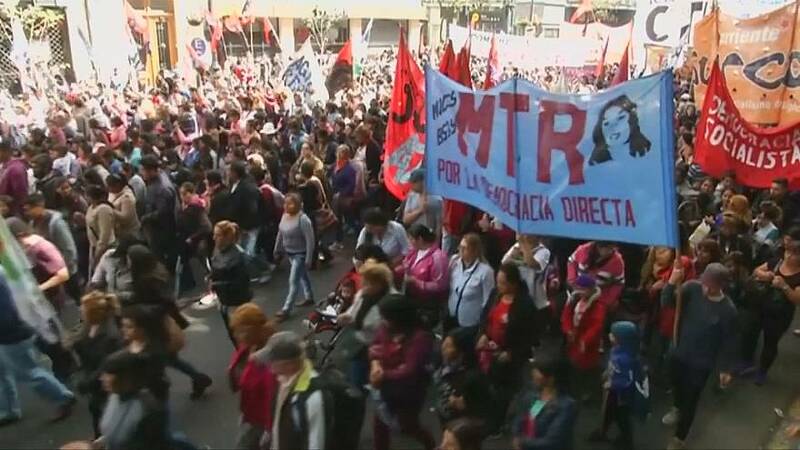 Protesters take to the streets in Buenos Aires to demand answers surrounding the death of a young protester who went missing in Argentina nearly three months ago. The march comes one day after Santiago Maldonado’s family identified his body. Investigators discovered a body last week in the Chubut River in Patagonia, near where the activist was last seen at an indigenous rights protest on August 1.